It seems that fall is in full swing. Crisp, colorful leaves are falling, boots and scarves are unpacked, the pumpkin pie is baking... We haven't checked in with Donna since the spring. Let's see what's changing in her neck of the woods! Q. Let's start with jewels... We have some truly original and versatile pieces in the book. What are some of your favorites and why? A. My favorites would have to be the Frosted Glass Flower Jewelry, African Wire Bracelets, Fire Wheel Earrings & Pin and the Carnelian Cube Necklace. Each piece highlights a unique blend of materials that are sleek, resourceful and timeless. Q. 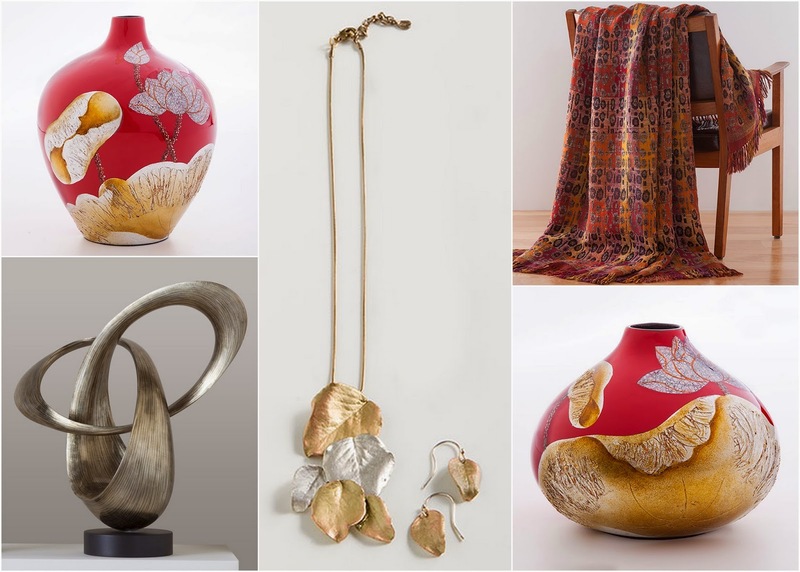 We are warming things up this fall with rich berrys, fiery reds and luminescent golds. What are some of the most essential pieces to transition the home and wardrobe into the new season? A. The Ceramic Lotus Blossom Vases, Lacquer Swirl Sculpture, Leopard Print Throw and the Survivor Tree Jewelry grouping. These bold statement pieces will add just the right amount of complimentary color, shimmer and pattern to your existing home and wardrobe classics. Think of red, gold and leopard print as your new neutrals for the upcoming season. Q. What are some of our best selling scarves and how do those favorites affect our selection of new styles? A. 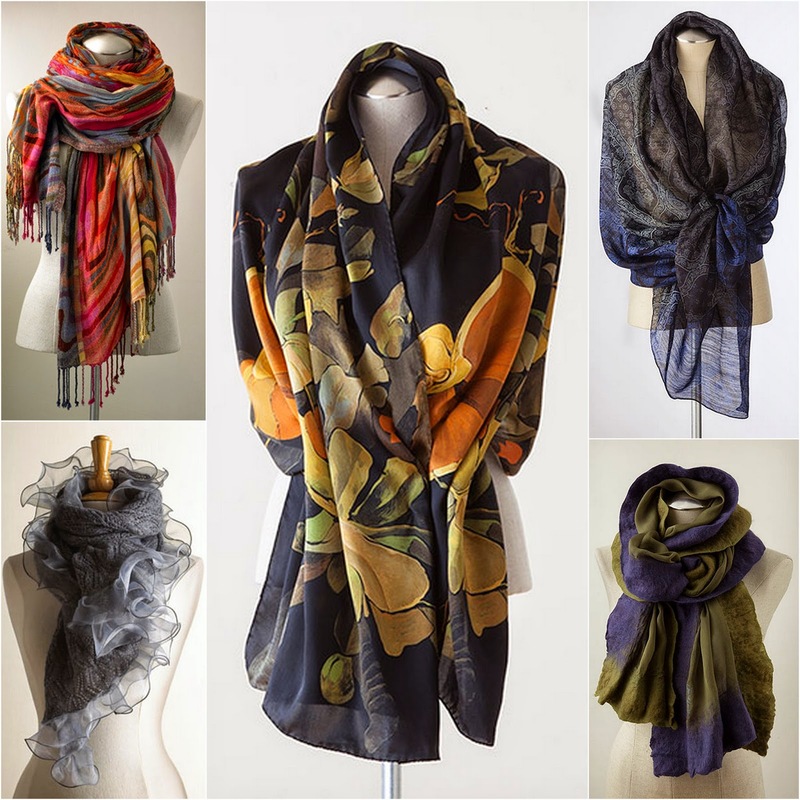 Exotic Garden Shawl, Multi Swirl Scarf, Gray Ruffle Scarf, Navy Ombre Print Shawl and the Olive & Blackberry Silk Felt Scarf. These styles serve as an insiders guide to what our customers like. Some are tried and true and some are new. When buying in the market and selecting new ideas for development certain elements from each of these textiles will be taken into consideration. Q. 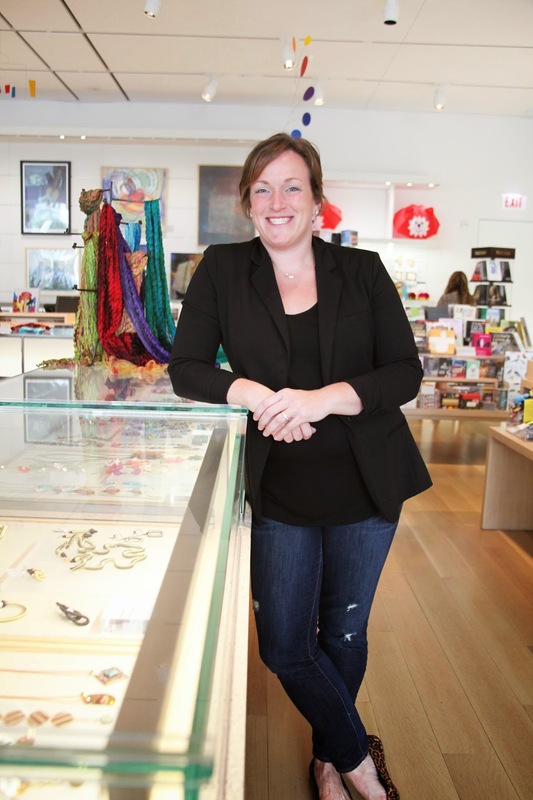 Are you planning any trunk shows for the holidays? Can you give us an early scoop- who/what will we see? Q. Top 10 Time! 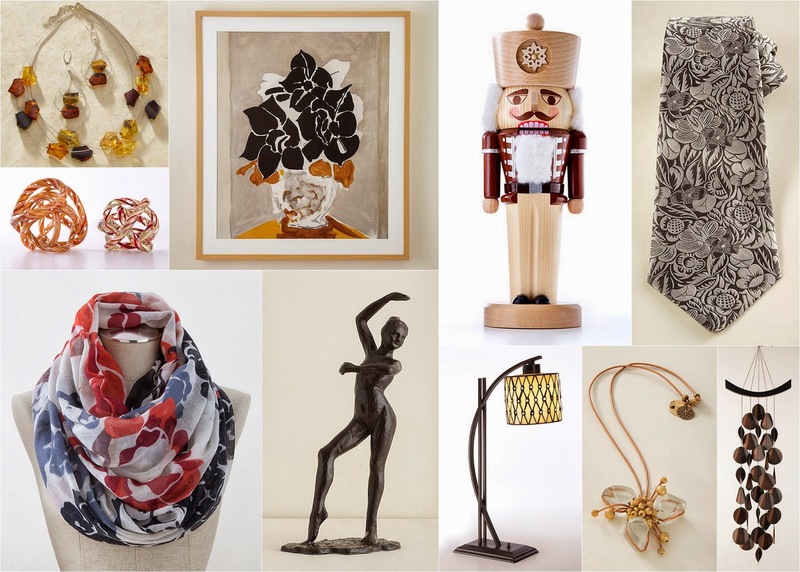 What are your top 10 product recommendations from the new Fall 2014 Gift Catalog?